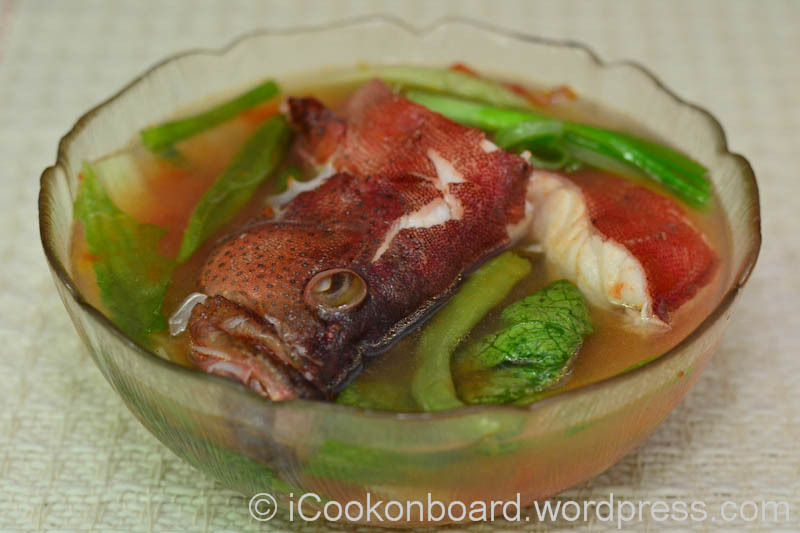 Sinigang sa kamatis na Lapu-lapu, (Lapu-lapu fish soup in tomatoes) is a Filipino clear soup seasoned with alot of tomatoes and sea salt. 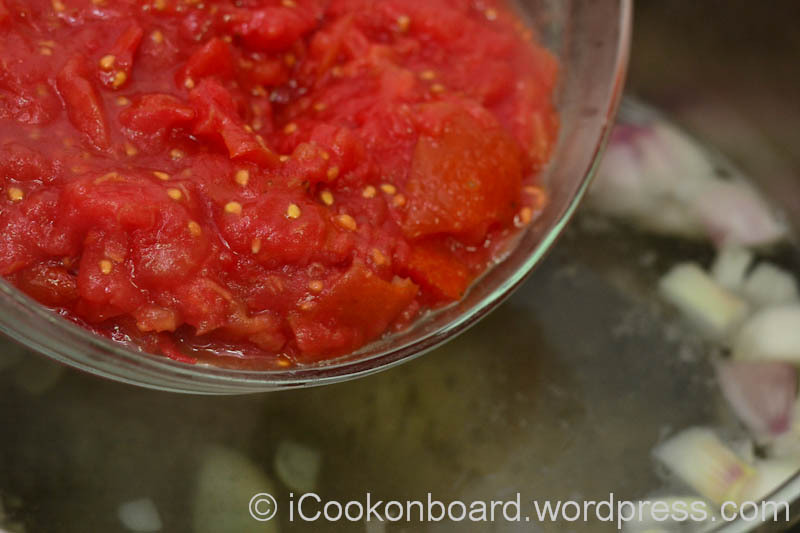 Tomatoes are mashed with your clean bare hands, that is where the savory flavor came from. 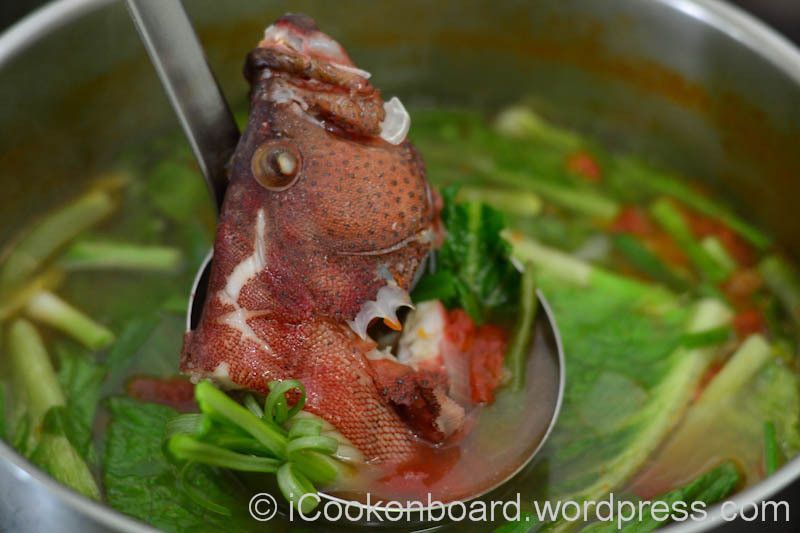 Lapu-lapu is in the family of Grouper fish, you can also use fresh catch Sea Bass to this type of clear soup. This Lapu-lapu fish was caught at Lavan island, Iran by my collegue onboard. I’m quite lucky to have onboard a bunch of Fishin’Guy, especially our Chief Engineer Elmer who is a real pro when it comes to catching fish. And the saying is really true… The best things in life are free!!! 250 grms. 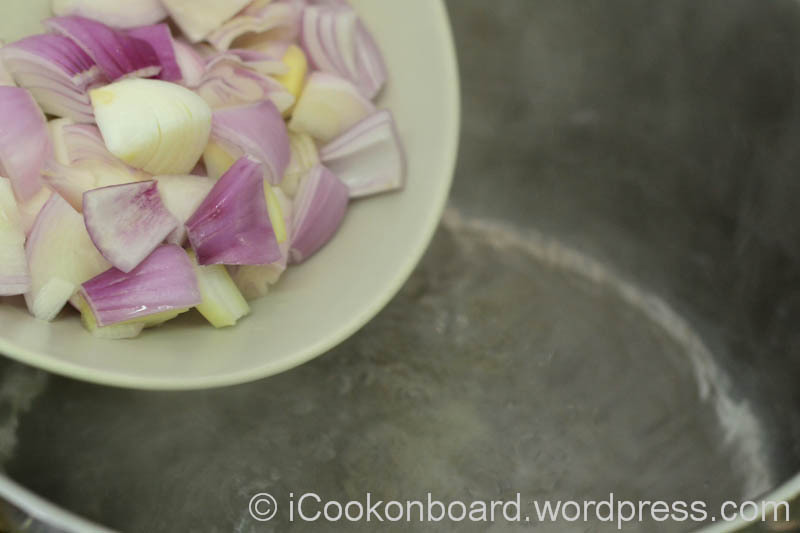 onion, coarsely chopped. 1 kilo ripe tomatoes, mash with your clean hands. 3 kgs. fresh lapu-lapu, cleaned and sliced to serving pieces. 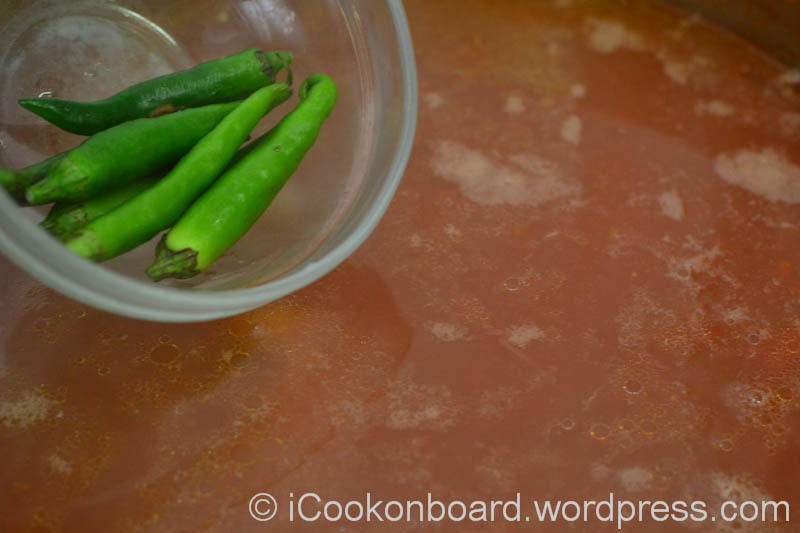 Bring water to a boil on a large soup pot. 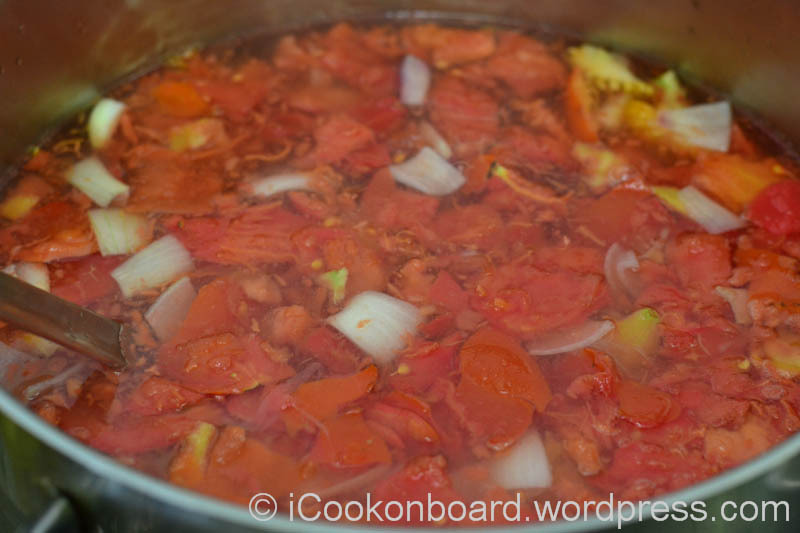 Add the onions and mash tomatoes, bring it back to boil and simmer on medium heat for 5 minutes. Season with sea salt to taste, add the green chilli long. Add the Lapu-lapu and cooked for 5 minutes, try not to overcooked the fish by avoiding the soup from boiling again. Finally add the green leafy vegs. 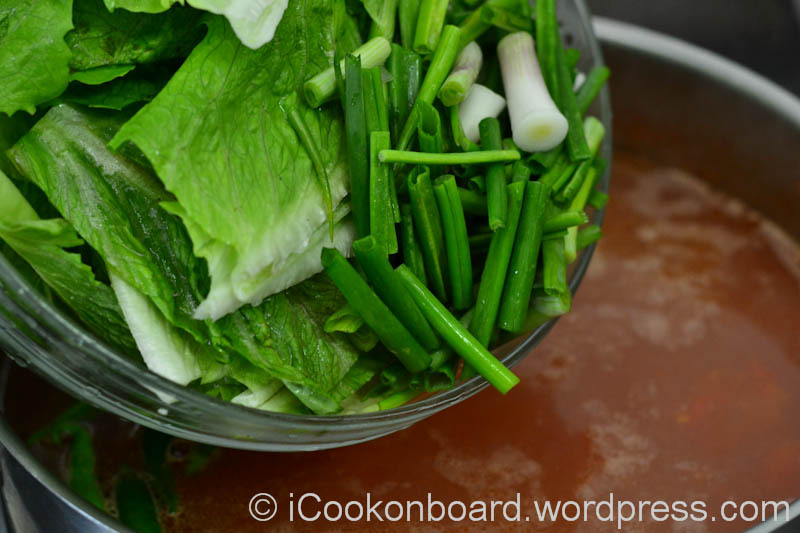 and spring onions just before serving. Enjoy your meal!!! 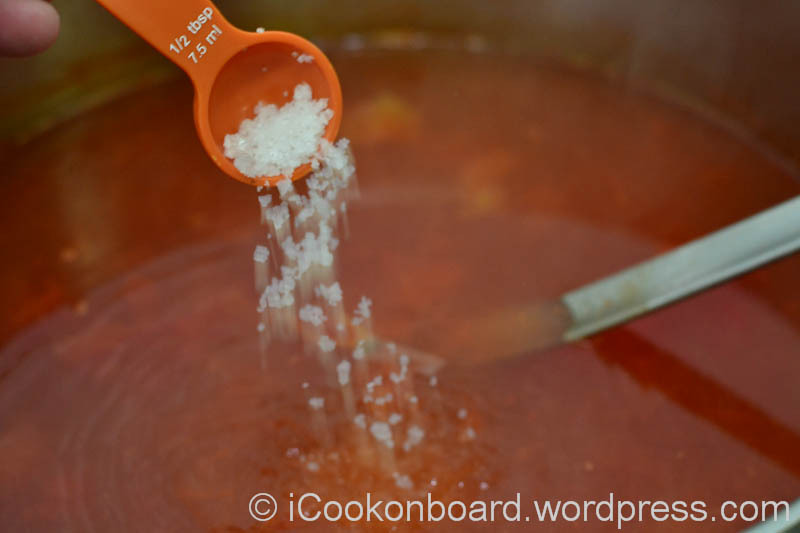 Bring water to a boil on a large soup pot, then add the onions. Bring it back to boil and simmer on medium heat for 5 minutes. Add the green chilli long. Add the Lapu-lapu and cooked for 5 minutes, try not to overcooked the fish by avoiding the soup from boiling again. Finally add the green leafy vegs. and spring onions just before serving. 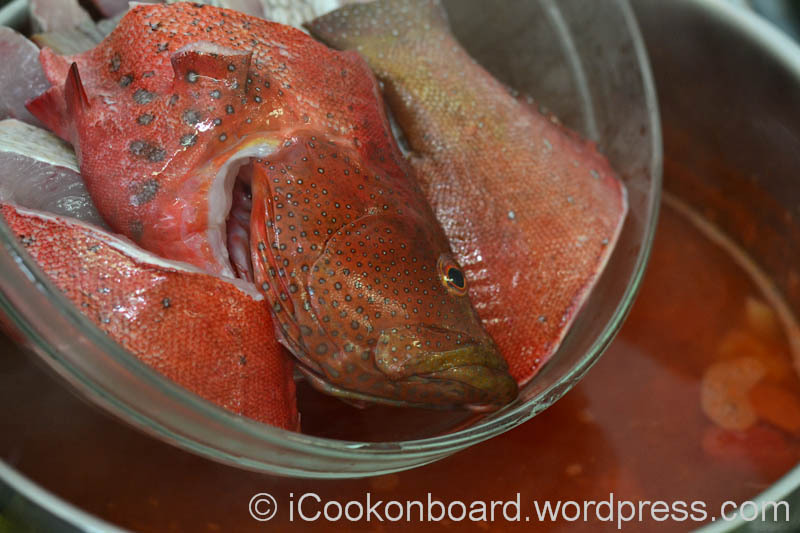 you to try cooking some fresh Lapu-lapu soup in tomatoes. You write a terrific blog and remind me of the many delicious dishes I used to eat. But, my favorite of all favorites, inihaw na panga ng bariles for breakfast, fresh from the dock when in Dadiangas. Such a simple but delicious treat. Yummy. I wish I could find Lapu-Lapu in the US. Thanks Diahannreyes!!! I think you will, I’ve been receiving it before on one of my vessel that is trading on Florida and Mississippi. By the way, I really like your stories and the way you write it. Salamat for dropping by my blog!!! Hey, it’s been a while! Welcome back! Thanks you Chuchay, I was hibernated during my recent work vacation and all I do at home was procrastinate. I visit your new blog and I like the concept. Congrats on your .com home. Thank you! I realized I need to lose weight, haha! Wow, sarap ng bakasyon noh?! I also gained alot of weight while on vacation, so I’ll be flying by your site from time to time. Oo sarap talaga magbakasyon sa Pinas!!! Oo nga pla, diba ikaw umuwi rin?